The Age of the Earth has been a matter of interest to humans for millennia. All verifiable evidence indicates that the Earth is about 6,000 years old. Yet with circular reasoning and implausible assumptions, liberals insist that the Earth is approximately 4.54 billion years (4.54 × 109 ± 1%). Old Earth advocates rely on one flawed assumption to the exclusion of other evidence, similar to how an investigator may mistakenly rely on one faulty eyewitness's opinion to the exclusion of all else. In fact, eyewitness testimony is proven to be less reliable than other indicators, just as the assumption by Old Earth proponents that the rate of radioactive decay has always been constant is flawed. Far from being constant, the rate of radioactive decay would almost certainly slow down as the universe cools. At the very least, it is not consistent and easily predictable. Moreover, a large number of physical processes, such as neutron capture and fluctuations in solar radiation, affect the rate of radioactive decay of elements in the Earth's crust and render radioactive dating measurements unreliable, depending upon the specific methods used. Much scientific evidence points to a young age of the earth and the universe and the biblical creation organization Creation Ministries International published articles entitled 101 evidences for a young age of the earth and the universe and How old is the earth? which summarize some of the evidence for a young age of the earth. For most of recorded history humans of many backgrounds, such as the first-century historian Flavius Josephus, St. Barnabas and St. Irenæus, viewed the age of the Earth to be around 6,000 years. results in figure of 6 371. "For we have not an innumerable multitude of books among us, disagreeing from, and contradicting one another, [as the Greeks have], but only twenty-two books, which contain the records of all the past times; which are justly believed to be divine; and of them five belong to Moses, which contain his laws and the traditions of the origin of mankind till his death. This interval of time was little short of three thousand years; …we men are the most excellent of the creatures of God upon earth." "the six days were truly six natural days, because here Moses says that Adam and Eve were created on the sixth day. One may not use sophistries with reference to this text." Prior to the onset of totalitarian and uniformitarian (i.e. long-age) scientism promoted by Lyell, Darwin, Huxley, and others in the 19th century, when most people and scientists in Europe and North America had a Christian or biblical worldview, the atheistic evolutionary concept of billions of years for the age of the earth was unknown to mainstream Western science beyond cursory philosophical speculations. For example, in his 1619 book the Harmonices Mundi (The Harmony of the World), Johannes Kepler, mathematician and astronomer whose discoveries are used in present-day rocket science, wrote that he does not care if his book will need to wait a century for a reader, as God has waited six thousand years for him as an observer. Kepler calculated a Creation date of 3992 BC, and Isaac Newton also strongly defended Biblical chronology. The latter also vigorously opposed to a naturalistic cosmic evolution and suggested chemical processes that might aid in explaining the creation of the earth's crust during the six days. The vast majority of commentators in the past interpreted the days of Genesis as ordinary days. Furthermore, even those who did not, such as Origen and Augustine, vigorously attacked long-age ideas and affirmed that the world was only thousands of years. In 1771, the first edition of the Encyclopædia Britannica, the oldest English-language general encyclopedia that was first published as a 3-volume set in Scotland, included a table of world events under the heading ‘Astronomy’ on page 493. These events begin with the creation of the world in the year 0, which they dated at 4007 years before Christ. In 1830, Dr. Hales published a list of 120 historical authorities from various cultures who had decided on an official date of creation. These ranged from 6984 B.C. to 3616 B.C. Included in Hales' list is James Ussher, who calculated the famous date of 4004 B.C. for creation and published it in his magnum opus, The Annals of the World during the mid-1600s. Young Earth creationists, essentially adopting the same method as Nikola Tesla who was taught by his mother "to seek all truth in the Bible," still consider this date to be close to the actual date. The year 4004 B.C. was considered to be also a remarkable astronomical epoch by the great French astronomer Laplace who in his Méchanique Céleste, Tom III.p. 113, announced a curious discovery - it was supposed to be a year when the great axis of the earth's orbit coincided with the line of the equinoxes, and consequently true and mean equinoxes were united. "The first battlefield is the rewriting of history." Although materialism was at the time almost unanimously rejected by the scientific community, George-Louis Lecrerc, Count of Buffon, rejected Christianity, adopted evolutionary thought, and thus searched for materialistic explanations for the origin of earth. [note 3] Despite his treatises lacking both a timescale and even a clearly developed sense of time, in 1778 he proposed, apparently following his own belief "past is so old and has left so few traces that one can say anything one likes about it", that the Earth was about 74,832 years old, what was also in line with thinking that pushed God as Creator either back in time or out of the picture altogether. In the early nineteenth-century, the so called uniformitarians conspired to overthrow the Biblical chronology that would measure geologic time in generations of man. The dictum as a fundamental maxim for their geological speculation and worldview was expressed through James Hutton’s aphorism, coming from his 1785 book Theory of the earth: “The revolt, therefore, of this physical inquiry is, that we find no vestige of a beginning, no prospect of an end.“ Hutton's theory of the earth was not based on field observations but on his wishful, speculative confusion of geological process with Newtonian physics. In 1822, Fourier laid the groundwork for the mathematical analysis of the flow of heat in his treatise Théorie Analytique de la Chaleur; and later, in 1827, he published arguments that the Earth must be cooling. This was in line with so called Kant-Laplace nebular hypothesis, under which the earth would have gradually cooled from its assumed molten beginnings to its current state. In 1830 Charles Lyell, despite being familiar with Fourier's arguments, supported, with a convert's zeal, the Hutton's idea of a steady-state Earth of indefinite age in Principles of Geology, a book that later influenced Darwin. Lyell started his book with a self-serving history of geology that uncritically hailed any insight anticipating uniformitarianism and under the banner “to free the science from Moses” utterly dismissed the contributions of catastrophists including Georges Cuvier, the "lion of nineteenth-century French science" and founder of modern comparative anatomy and paleontology, who as early as 1796 announced "the existence of a world previous to ours, destroyed by some kind of catastrophe" and whose scientific arguments for the theory of special creation held back the tide of evolutionary thought for a generation. Lyell shown up to be a disciple of Buffon, who resolutely refused to accept the notion of catastrophes, including the Biblical Flood, which many of their contemporaries upheld. Before Darwin boarded the HMS Beagle in 1831, his Cambridge tutor Adam Sedgwick, who had supplied just twenty-two years old Darwin with a reading list for the voyage, conspicuously omitted controversial Lyell’s Principles. Darwin was however given a copy of the book by the ship's aristocratic captain Robert FitzRoy, who wished to have some scientific person on board. Darwin was fascinated by book, he dedicated his own writings about the voyage to Lyell, and in his letters claimed that "I always feel as if my books came half out of Lyell's brains ... the great merit of the Principles, was that it altered the whole tone of one's mind & therefore that when seeing a thing never seen by Lyell, one yet saw it partially through his eyes." If the question "When?" is asked, the natural reply is merely a look of astonishment, and persistent enquiry elicits nothing more definite than a vague "Long ago. "[note 4] Anything else, of course, could not be expected from a people whose conceptions of the development of the universe are limited to a recognition of the alternation of seasons and the insistent mysteries of life and death. In his 1859 Origin of species by means of Natural selection, Darwin declared that ‘He who can read Sir Charles Lyell’s grand work on the Principles of Geology, which the future historian will recognise as having produced a revolution in natural science, yet does not admit how incomprehensibly vast have been the past periods of time, may at once close this volume.’[note 5] Darwin based his views on Hutton and Lyell who were dedicated not to modern notions of geological dynamism but to antique ones of geological steady-state. It is believed a feeling of guilt at having helped Darwin arrive at his heretical theories was a factor that might have contributed to FitzRoy’s tragic decision to suicide on 30 April 1865. The doctrine that the Earth was of unlimited age allowed Uniformitarian geologists to evade explaining any phenomena by laws of physics and resort to blurring them by “reckless drafts on the bank of time” instead. For the legendary British physicist William Thomson, later known as Lord Kelvin, this game without rules was simply not scientific. The speculations of uniformitarians on age of the Earth were forbidden by the laws of the thermodynamics, which he had helped in developing. He showed, with the full force and prestige of mathematical physics,[note 6] that, if one were to assume that the Earth is a solid body cooling from an initially high temperature, measurement of the rate of heat loss from its surface would clearly place limits on its age. I have sometimes been asked by friends interested in geology to criticise Lord Kelvin's calculation of the probable age of the earth. I have usually said that it is hopeless to expect that Lord Kelvin should have made an error in calculation. The ‘celebrated’ Poisson’s hypothesis, that the present underground heat of Earth is due to a passage, at some former period, of the Solar system through hotter stellar regions, would not serve uniformitarians and evolutionists right, since it either grants only short time periods with moderate temperature on earth’s surface or, if the transition from hot region to cold region is shifted further back in time, it leads to extreme temperatures that must have destroyed all animal and vegetable life. The Leibnitz’s theory, which simply supposes the earth to have been at one time an incandescent liquid, without explaining how it got into that state, is the best for view of the geologists who require the longest periods. The initial temperature of molten blob to be 7000 °F or 3888 °C, respectively, corresponding to a high estimate of generally assumed temperature of melting rock. Later Kelvin explained that he could take lower value as more probable, but was most anxious not to underestimate the age of the earth based on the very meager information then available. The measurements of underground temperatures near Edinburgh served as basis for the estimated “general increase of temperature in the Earth downwards” alias mean geothermal gradient of 1/50th of a degree Fahrenheit per foot (~ ca 36 °C/km). After taking into account the estimated uncertainties in thermal gradient and thermal conductivity, Kelvin broadened an upper limit for the age of the Earth to interval between 20 and 400 millions of years (20 ~ 400 Ma). In a later paper, based on experimental results performed by Carl Barus (who found out that diabase, a typical basalt of very primitive character, melts between 1100 °C and 1170 °C and is thoroughly liquid at 1300 °C), he modified the value for supposed initial molten rock temperature to 1200 °C, thus by the end of the 1800s narrowed down the interval to 20 ~ 40Ma, with personal preference for the lower value which is also the most quoted one. "When you measure what you are speaking about and express it in numbers, you know something about it, but when you cannot express it in numbers your knowledge about it is of a meagre and unsatisfactory kind." "We do not say whether it is twenty million years or more, or less, but we say it is not indefinite. And we can say very definitely that it is not an inconceivably great number of millions of years." "We feel that there is no possibility of things going on for ever as they have done for the last six thousand years." But T.C. Chamberlin, head of the Department of Geology at the University of Chicago, was not prepared to concede defeat. While defending his faith in long-ages, he speculated, without any observational basis whatever, that there might yet be discovered new sources of energy that would allow more time than Kelvin had calculated. Thus, the quest for the age of the earth as a subjective, arbitrary and erratic pursuit, was set for an fascinating turn. This came in 1896, when radioactivity was discovered by Henri Becquerel and when in 1903 Pierre Curie and Albert Laborde demonstrated that radioactive decay releases heat. Before long, several people argued that this source of heat was great enough to overturn Kelvin’s conclusion about the boundary for the age of the earth. The situation resembled the one in the previous two centuries when “those who sought to extend biblical time hardly knew where to begin, how to proceed, and what to conclude.” Among the followers of this effort was Ernest Rutherford, who in 1904 suggested, in the Royal Institution, that “Lord Kelvin had limited the Age of the Earth, ‘provided no new source of heat was discovered.’ That prophetic utterance refers to what we are considering tonight, radium!” Later, Rutherford often repeated his tale of thinking on his feet in front of the “old bird” Kelvin who “beamed” at him. This episode and pleasing form of the anecdote, boosted by the eminence of its author, who was considered the father of the nuclear theory, provided a ready vehicle for mythmaking and uncritical acceptance of proposition that because the discovery of radioactive heat undermined an assumption behind Kelvin’s calculation, it also undermined his conclusion. As the half-life of radium's dominant isotope is 1600 yr, heat given out by radium obviously could not be the wanted missing energy. [note 9] Nevertheless, later assumptions of equilibrium in decay series of uranium and thorium allowed to consider heat sources with half-lives in gigayears (Ga; 1 Ga = 109 years). The 1911 edition of the Encyclopedia Britannica discussed dates up to 500 million years. By about 1930, J. H. Jeans was arguing for an age of the Earth of around two billion years. The inclusion of radiogenic heat makes however only insignificant difference in terms of age limit inferred from the time required for the surface gradient to reach its present-day estimated value of 20 °C/km supported by observational evidence. As a matter of fact, it is freely acknowledged that radioactive heat sources within the earth do not account for its present internal temperatures if the earth had really existed for 4.5 Ga. The statements such as "Thanks to Madame Curie, the inexhaustible energies of the atom of the globe … are potentially available to geological speculation" and "Kelvin overthrown" are logically incorrect; Kelvin's conclusion would be undermined by that discovery only if incorporation of the Earth's radioactive heat into his calculations produced a substantially different age limits for the earth. The general conclusion is that, even if Kelvin had included a reasonable radiogenic heat production in his thermal calculations, he would still have found grounds for arguing that the age limit of the earth was of the order of 108 years and his estimate would have been virtually unaffected. "In general, dates in the correct ballpark are assumed to be correct and are published, but those in disagreement with other date are seldom published, nor are the discrepancies fully explained." In 1943 R.A. Daly of Harvard University published his authoritative paper “Meteorites and an Earth model,” where he studied the analogies between terrestrial rocks and meteorites, coupled with deductions on the probable nature of the Earth’s interior. He hypothesized that the latter ones originated by disruption of a planet once situated between Mars and Jupiter, in the region now occupied by asteroids. At first textbooks have quoted his theory approvingly, but later it has been disfavored due to mineralogical discontinuities between different groups of meteorites which were interpreted as evidence against a single parent body hypothesis. Nevertheless, the meteorites, “enigmatic bodies,” have managed to attract the great resurgence of interest in scientific research. In his 1956 paper named Age of Meteorites and the Earth, Claire Patterson, using “certain assumptions which are apparently justified,” introduced for meteor age a figure of 4.55 ± 0.07 × 109yr. and commented that since earth lead meets the requirement for definition of “the isotopic evolution of lead for any meteoritic body,” it is therefore “believed that the age for the earth is the same as for meteorites” and that "this is the time since the earth attained its present mass". In spite of cautions and skepticism advised by the authors, this faith-based figure gradually became a scientific dogma that rarely anyone has dared to question. Henry Morris explains that the unprovable assumptions are not the only problem with radiometric dating. One huge concern is that the results published are only a selected sample, chosen especially to agree with preconceived ideas about the earth, life, and evolution. “The superior modern analytical methods used made it impossible that analytical contamination could explain the result. The circumstances ... make it extremely unlikely that terrestrial contamination could explain the results for this meteorites. "Most advocates do not defend their theses out of conviction that they are true, but rather because they once declared them to be true." Consequently, his research of the Earth’s age turned into calculation of "the correct sample ratios" from "observed ratios" so that the Table in his paper could finally show the “correct” preconceived age, established in this field of research. This methodological flaw is known as data torturing. Using circular logic — assuming that decay rates remained constant despite necessarily changing physical characteristics as time approached the origin — Old Earth proponents insist that the Earth is 4.5 billion years old based on an assumption of constancy in Potassium-argon (K:Ar) decay rates and other radiometric methods. "If a theory or point of view is treated only as a doctrine to be validated, and not one to be challenged, it is not within the realm of science." "I daresay I may have written too confidently from feeling so confident of the truth of my main doctrine." After their acceptance of evolutionary dogma on “antiquity as a partially known factor” by faith, followers of evolutionary scientism started to assure that “the earth’s age must be very much greater than Kelvin calculated”. Consequently, they commanded science to be turned upside down: ”Kelvin’s problem must now be reversed” – instead of research finding the age of the earth, it should be already taken as given by their doctrine instead, and the only role left to science is to confirm it and determine the thermal history of the earth that would be in accord with it. In 1978, Geotimes magazine published by American Geological Institute quoted John Eddy, a famous astronomer, who argued that due to “some new and unexpected results“ scientists could live with bishop Ussher’s 4004 B.C. value for the age of Earth and Sun, a fortiori since there is not much in the way of observational evidence in astronomy to conflict with his calculations. American astronomer Robert Jastrow maintains that for "the scientist who has lived by his faith in 'the power of reason', the story ends like a bad dream. He has scaled the mountains of ignorance; he is about to conquer the highest peak" and "as he pulls himself over the final rock, he is greeted by a band of theologians who have been sitting there for centuries." William R. Corliss is a cataloger of scientific anomalies (observations and facts that challenge prevailing scientific paradigms) and has published many works on the subject. He also wrote 13 books for the National Aeronautics and Space Administration (NASA), a dozen educational booklets for the Atomic Energy Commission (AEC), and a dozen articles for the National Science Foundation (NSF). The science magazine New Scientist had an article which focused on the career of William Corliss. New Scientist wrote regarding Corliss's work: "All I can say to Corliss is carry on cataloging". Arthur C. Clarke described Corliss as "Fort's latter-day — and much more scientific — successor." Corliss's work on geological anomalies catalogs scores of anomalies which challenge the old-earth paradigm. Burnet, Thomas, The Sacred Theory of the Earth, chapter V, 1691. Encyclopedia Britannica, 11th edition (1911). On-line page facsimiles. Hammerton, J.A. (Ed. ), "Universal History of the World" (8 volumes) The Educational Book Co., London, c1930. Batten, Don, Old-earth or young-earth belief: Which belief is the recent aberration?, Creation 24(1):24–27, December 2001. The age of the Earth (Istituto Nazionale di Geofisica e Vulcanologia (INGV)). Peck WH, Valley JW, Wilde SA, and Graham CM (2000) Ion microprobe Evidence for Pre-4.4 Ga Continental Crust and Low Temperature Water/Rock Interaction. Geol. Soc. Am. Abstr, vol 32, no. 7. ↑ Ad. “time itself performs miracles” - cf. Evolution of the gaps: An 'explanation' that has no other than philosophical implication and that cannot be tested is regarded for a key symptom of ideological thinking. Moreover, the Slovak poet Ondrej Fabrici maintained that idols of the old pagan belief systems have been refurbished and disguised in the changed setting of the modern era under the new name of scientific endeavor. For example, the “incomprehensibly vast periods of time” invoked by evolutionism is in fact nothing more than refurbished and masqueraded belief in creative power of elapsing time represented either by ancient Babylonian god, transposed into Greek mythology as Chronos, or antique Aeon, a divine power constituting a gnostic belief system. ↑ cf. "Of course, no one can precisely gauge hom much Enlightenment thinking about material origin for life and organic species contributed to the political, social, and religious turmoil of the French Revolution, but some observers at the time saw a causal link. Notions of biological instability seemed to breed social disorder; ... and chaos ensued as the law of jungle became the rule in Paris. For Cuvier, ... Speculative systems in natural history invited ruin. ... [He] took every opportunity to criticize the speculations of Buffon and other materialist-minded naturalists." ↑ Ad. “nothing more definite than a vague ’Long ago’” cf. ↑ For partisans of Clifford's injunction closing this volume at once definitely appears to be a highly commendable suggestion. ↑ cf. "[Rutherford and Soddy] could not get away from the fact, however, that radium itself, although universally regarded as an element, decays far too rapidly to be as old as the minerals in which it is found. The only solution seemed to be that radium too must be a metabolon with a 'life' of a few thousand years." ↑ The claim on the contamination explaining the "discordant result" is in direct contradiction with previous statements that neither analytical nor extremely unlikely terrestrial contamination could explain the results. According to Ryan Dobson, author of a book on moral relativism, a person that holds conflicting opinions about something and starts disagreeing with himself of herself is in trouble. The trouble maintaining a train of thought in logical and coherent manner is regarded by medical science as symptom and characteristic of schizophrenia. ↑ 1.0 1.1 Don Batten (4 June 2009). Age of the earth; 101 evidences for a young age of the earth and the universe. CMI. ↑ 2.0 2.1 Jonathan Sarfati. "8", Refuting Evolution; How old is the earth?. ↑ 9.0 9.1 9.2 Frank Luke (June 2007). "Josephus says, ‘Genesis means what it says!’". Creation (CMI) 3 (29): 15–17. https://creation.com/josephus-says-genesis-means-what-it-says. Retrieved 1 Oct 2017. "Josephus ... explicitly states that man had been around for only 3,000 years by the time of Moses.". ↑ (1958) "ONE", in Jaroslav Pelikan: Luther's works: Lectures on Genesis: Chapters 1-5. Concordia Publishing House, 69. ISBN 978-0-5700-6401-5. ↑ Travis S. Taylor (2017). Introduction to Rocket Science and Engineering. CRC Press. ISBN 9781498772341. ↑ 21.0 21.1 21.2 21.3 Rhoda Rappaport (1997). When Geologists Where Historians, 1665-1750. Cornell University Press, 138, 197. ISBN 978-0801-433863. ↑ William Hales (1830). Chronology and geography. C.J.G. & F. Rivington. ↑ Batten 2002 quotes from "Young’s Analytical Concordance of the Holy Bible", 1879 8th Edition, 1939, which relates this, and reproduces the selection of the dates from Young. ↑ Kent Hovind. Creation Seminar 1 - Age of the Earth (FULL). Creation Science Evangelism. Retrieved on 26 July 2015. ↑ George Wald (1957). The Physics and Chemistry of Life. G. Bell, 12. ↑ 30.0 30.1 30.2 30.3 Tas Walker. Western culture and the age of the earth; Review of The Dating Game: One Man’s Search for the Age of the Earth by Cherry Lewis, Cambridge University Press, 2000. CMI. Retrieved on 13 June 2015. ↑ David Fiorazo (2012). "3", ERADICATE: Blotting Out God in America. Life Sentence Publishing. ISBN 978-1-62245-026-8. ↑ Patrice Debré (1998). Louis Pasteur. The Johns Hopkins University Press, 151. ISBN 978-0801-865299. ↑ 36.0 36.1 36.2 36.3 36.4 E.J. Larson (2006). Evolution: The Remarkable History of a Scientific Theory. New York: Modern Library, 9, 13–18, 39, 58–62. ISBN 0-8129-6849-2. ↑ 38.0 38.1 38.2 F.M. Richter (1986). Geological Notes: Kelvin and the Age of Earth. 94. Journal of Geology. pp. 395–401. http://www.jstor.org/stable/30068713. ↑ 40.0 40.1 40.2 W. Thomson (Lord Kelvin) (1869). On Geological Dynamics. Transactions of the Geological Society of Glasgow. ↑ James Hutton (1785). Theory of the earth; or an investigation of the laws observable in the composition, dissolution and restoration of land upon the globe.. Royal Society of Edinburgh. ↑ 43.0 43.1 43.2 P. England, P. Molnar, F. Richter (January 2007). "John Perry’s neglected critique of Kelvin’s age for the Earth: A missed opportunity in geodynamics". GSA Today 17 (1). doi:10.1130/GSAT01701A.1. http://www.colorado.edu/GeolSci/faculty/molnarpdf/2007GSAT.England.PerryKelvinBlownOpportunity.pdf. Retrieved 5 June 2015. "Fourier ... made arguments that the Earth must be cooling (Fourier, 1827), with which Lyell was certainly familiar (Lyell, 1830, p. 140–141).". ↑ The Voyage of Charles Darwin, Part 1 7-part series Part 1, 46min:15sec. BBC (1978). Retrieved on May 17, 2015. ↑ Ch.Darwin. Darwin Correspondence Database: Darwin, C. R. to Horner, Leonard 29 Aug 1844. Darwin Correspondence Project by Cambridge University Library. Retrieved on May 17, 2015. 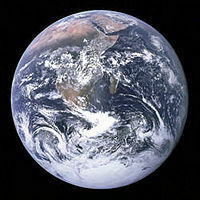 ↑ "The Age of the Earth as an Abode Fitted for Life". Science (American Association for the Advancement of Science) 9 (228): 668. May 12, 1899. https://www.jstor.org/stable/1626214?seq=4#page_scan_tab_contents. Retrieved July 18, 2105. ↑ Evolution Vs. God Movie 14min:48sec. Living Waters (6 Aug 2013). Retrieved on 25 July 2015. ↑ Charles Darwin (1859). On the Origin of Species, 1, 282. ↑ The Voyage of Charles Darwin, Part 6&7 7-part series Part 6&7, 1h:49min:35sec. BBC (1978). Retrieved on July 18, 2015. ↑ 54.0 54.1 Antony Flew (2008). There is a God, How the world's most notorious atheist changed his mind. HarperOne, 105. ISBN 978-0-06-133530-3. ↑ W. Thomson (Lord Kelvin) (1864 (Read 1862)). On the Secular Cooling of the Earth 167–169. Transactions of the Royal Society of Edinburgh. ↑ John Perry (3 January 1895). "On the Age of the Earth". Nature (51): 224–227. doi:10.1038/051224a0. http://www.nature.com/nature/journal/v51/n1314/pdf/051224a0.pdf. ↑ 57.0 57.1 Lord Kelvin (January 3, 1895). "On the Age of the Earth". Nature (reprint in SA): 334–337. http://www.scientificamerican.com/article/lord-kelvin-on-the-age-of-the-earth/. Retrieved 14 June 2015. "Carl Barus (Phil. Mag., 1893, first half year, pp. 186, 187, 301-305) that diabase, a typical basalt of very primitive character, melts between 1,100° C. and 1,170° and is thoroughly liquid at 1,300°.". ↑ Cherry Lewis (2012). The Dating Game: One Man's Search for the Age of the Earth. Cambridge University Press, 39. ISBN 978-11076-59599. ↑ Evelyn Lamb (26 June 2013). Lord Kelvin and the Age of the Earth. Scientific American. Retrieved on 19 April 2016. ↑ Tas Walker. Trial balloons and the age of the earth. CMI. Retrieved on 14 June 2015. ↑ 62.0 62.1 John Woodmorappe. Lord Kelvin revisited on the young age of the earth. CMI. Retrieved on 14 June 2015. ↑ Loren Eiseley (1961). Darwin’s Century: Evolution and the Men who Discovered It. Anchor, 234, 235, 240. ISBN 978-03850-81412. ↑ Meyer, Stephen C. (2008). Signature in the Cell. New York: HarperOne, 450. ISBN 978-0-06-147279-2. ↑ Frank Press, Raymond Siever (1986). Earth, 4, W. H. Freeman, 40. ISBN 978-0716717430. ↑ Joe D. Burchfield (1975, 1990). Lord Kelvin and the Age of the Earth. The University of Chicago Press, 173. ISBN 0-226-08043-9. ↑ Encyclopædia Britannica, pp 650-651. ↑ Universal History of the World, p.76. ↑ Richard L. Mauger (1977). K-Ar ages of biotites from tuffs in Eocene rocks of the Green River, Washakie, and Uinta basins, Utah, Wyoming, and Colorado. 15. University of Wyoming. pp. 17–42 (37). https://geobookstore.uwyo.edu/sites/default/files/download/ConttoGeo_TOC.pdf. Retrieved 13 June 2015. ↑ Brian Mason (1967). "Meteorites". American Scientist 55 (4). http://www.jstor.org/stable/27837038?seq=1#page_scan_tab_contents. ↑ Claire Patterson. Age of meteorites and the earth. ↑ Ralph W. Matthews (December 1982). Radiometric dating and the age of the Earth. 5. Creation. pp. 41–44. "In spite of cautions and skepticism advised by the authors this number has been widely and enthusiastically accepted and is usually quoted as if the evidence was decisive and conclusive. It has assumed something of the status of a universal constant to which all other data must be fitted, thus it has become common practice to assume that data which does not fit this result is either wrong or unintelligible.". ↑ Michael J. Oard. Once upon a time … A Review of The Mythology of Modern Dating Methods by John Woodmorappe. Retrieved on November 9, 2014. ↑ Gale, N.H., Arden, J.W. and Hutchison, R. (20 November 1972). "Uranium-Lead Chronology of Chrondritic Meteorites". Nature (240): 56–57. doi:10.1038/physci240056a0. http://www.nature.com/nature-physci/journal/v240/n99/pdf/physci240056a0.pdf. "Considerable variations in uranium and lead concentrations are observed in different gram sized fragments of the same meteorite5·7,8, and fission track studies10 show that on the microscopic scale changes in uranium concentration by factors of 105 are observed over distances of ˜10˜2 cm. Because of experimental difficulties the uranium and lead concentrations and the lead isotopic abundances have not been measured hitherto in the same sample of a given meteorite, so that it is possible, but not proven, that the apparent lack of concordance between daughter and parent isotopes may be a direct consequence of these heterogeneities; this point of view has been well argued by Fisher11. Most of the early work on the determination of lead in meteorites was in any case badly hampered by analytical contamination by terrestrial lead.". ↑ Gale, N.H., Arden, J.W. and Hutchison, R. (1979). U-Pb studies of the appley bridge meteorite. 66. Naturwissenschaften. pp. 419–420. doi:10.1007/BF00368077. http://www.springerlink.com/content/r741164v5162r447. ↑ Randall Hedtke (2010). Secrets of the Sixth Edition. Master Books, 57. ISBN 978-0-89051-597-6. ↑ John Eddy quoted by R.G. Kazmann (1978). It’s About Time: 4.5 Billion Years (report on Symposium at Louisiana State University). Geotimes magazine (from 09/2008 renamed to Earth magazine) of American Geological Institute. pp. 18–20. "I suspect that the Sun is 4.5 billion years old. However, given some new and unexpected results to the contrary, and some time for some frantic recalculation and theoretical readjustment, I suspect that we could live with bishop Ussher’s value for the age of Earth and Sun. I don’t think we have much in the way of observational evidence in astronomy to conflict with that.". ↑ Robert Jastrow (1992). God and the Astronomers. New York: W. W. Norton. ISBN 978-0-393-85006-2. This page has been accessed 170,559 times.